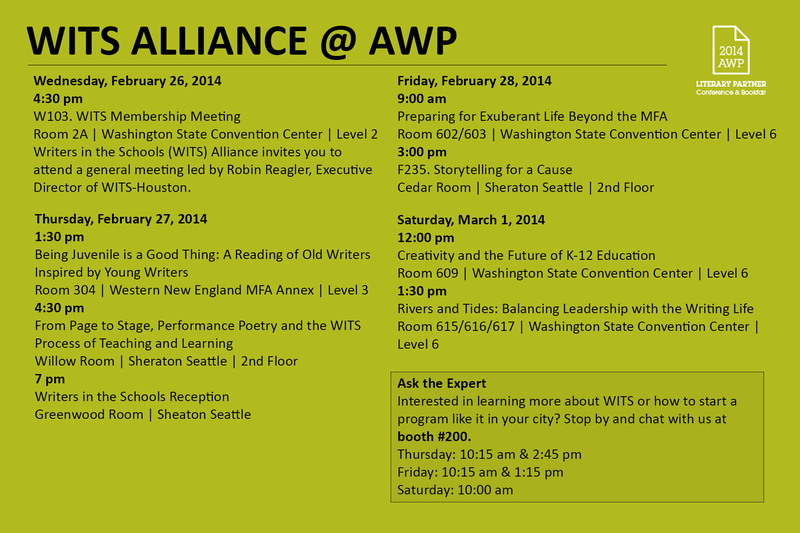 WITS is a Literary Partner at this year’s AWP Conference in Seattle. Interested in learning more about WITS or how to start a program like it in your city? WITS will host panels, meetings, and a reception during the conference. Come by and chat with us at booth #200!